BT Announced in 2015 that it will be switching off its PSTN and ISDN networks in 2025, transitioning fully to IP Voice services and phasing out older networks from 2023. This means that BT will cease accepting ISDN orders and that any businesses looking for new or increased voice services will have to look at IP-based options for their Business Telephony Systems. Recent surveys suggest that many businesses are still not aware of the impending switch-off and the affects that it may have on their business communications. If your business uses either PSTN or ISDN, we recommend looking into how you can migrate your own system onto an IP service. Fear not, there is a great deal of positivity. Firstly, using IP and Cloud Telephony has significant cost benefits, reducing or eradicating line and call costs. Provisioning is much quicker and more easily controllable and service can be accessed from anywhere on multiple devices, making your business more agile and responsive. And there are a plethora of new features and functions available. PSTN (Public Switched Telephone Network) is where analogue voice data travels across copper-based circuit-switched phone lines. ISDN (Integrated Services Digital Network) offers voice and data over digital lines offering further services such as DDIs (direct dial in numbers) and Video Conferencing. And allows for multiple calls on different channels over the same line. PSTN and ISDN are legacy technologies that have been significantly upgraded over their life-time but have high maintenance and running costs. BT is looking to switch to a single IP Network, allowing for SIP and VoIP, which offer multiple benefits to businesses. Investment in PSTN and ISDN networks is ceasing while there is ongoing investment in the IP Network. 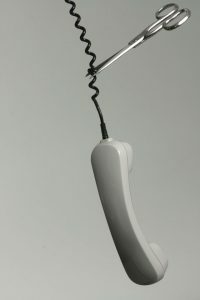 SIP (Session Initiation Protocol) provides a phone line over a fibre internet connection. 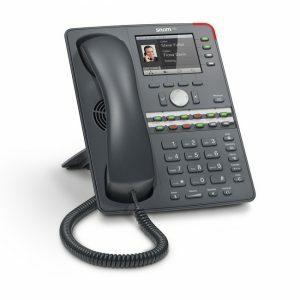 VoIP is cloud based telephony whereby your phone calls are sent over your internet connection and your phone system is moved ‘online’. 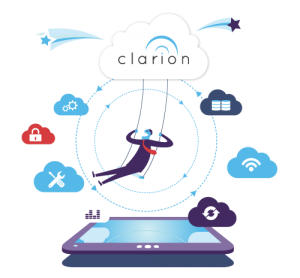 You can access your system via multiple devices – deskphone, mobile and tablet and it offers many additional features such as call recording, voicemail to email and unified communication benefits. Find out your current contractual obligations and think very carefully before renewing any ISDN or PSTN contracts. When switching to SIP/VoIP based systems, you will need to make sure that you have sufficient bandwidth to deliver voice on top of the existing services that your office data line supports, otherwise you may experience poor voice quality or intermittent service. Massive Savings – removal of line rental charges, free UK Landline and Mobile calls and between your organisation’s sites and much reduced Intl charges. Flexible Working – Log into your Phone System from anywhere and any device with an internet connection, and take your number with you. Advanced Functions & Features – incl video conferencing, CRM and email integration, analytics and increased control etc. Scalability – Add, remove or reassign lines swiftly according to your changing business needs. Greater Resiliency – Automatic back-up and failover to keep you connected. Swift Deployment – No more engineer-led physical installation so you can get connected faster. Discuss your requirements with one of our expert team. "We receive sound advice, smart solutions and first class service from Clarion. A joy to work with and a world apart from other Service Providers we have dealt with."